Welcome to the Hedgewitchery, a place of healing the mind, body & spirit with a pratitioner that is open minded, actively involved in her own healing, & respectful of the journey of others. With experience in many healing modalities & spiritual paths, you will no doubt find understanding, support & tools to facilitate your healing & growth. The Hedgewitchery is also a teaching facility, guiding people towards the magickal experiences they seek. With ritual circles, various workshops & specialised mentorship & initiate programs, you are sure to find the camaraderie & comfort that you need as you journey through this spectacular life. The Lady Le Faye is Alison, the Granddaughter of the now deceased Tribal Elder of the Kerawara Islands, East New Britain Province PNG, & the descendant of a long line of farming folk originating from Wales & England. She was raised to respect the laws of the land, the spirit of the Creator & the importance of holding ceremonial space. Alison began her training as a Hedgewitch 24 years ago at the age of 16 & was under the guidance of her Shamanic mentor for 6 years. She provides healing sessions, tarot & rune readings, community based rituals, a mentorship & initiates program & spiritual teachings. Alison has had formal training in Reiki, Aromatherapy, Western Medical Herbalism, and Homeopathic First Aid & has a current First Aid Certificate. She is also a qualified Nutritionist & is based in Melbourne, Australia. Bookings can be made via alison@thehedgewitchery.com or 0431628957. Jessie was born & raised on Gadubanud country on the Otways on a biodynamic herb and flower garden, and grew up on Arrernte Country, in Central Australia. As a small child Jessie was a keen herbalist and enjoyed making magick with fairies, and riding around on her ponies, Honey & Autumn, as a young warrior princess. As a teenager Jessie grew up on an Aboriginal community, and was taught by Ngangari (traditional healer) Elders and community members, in cultural lore & language, and traditional plant healing. 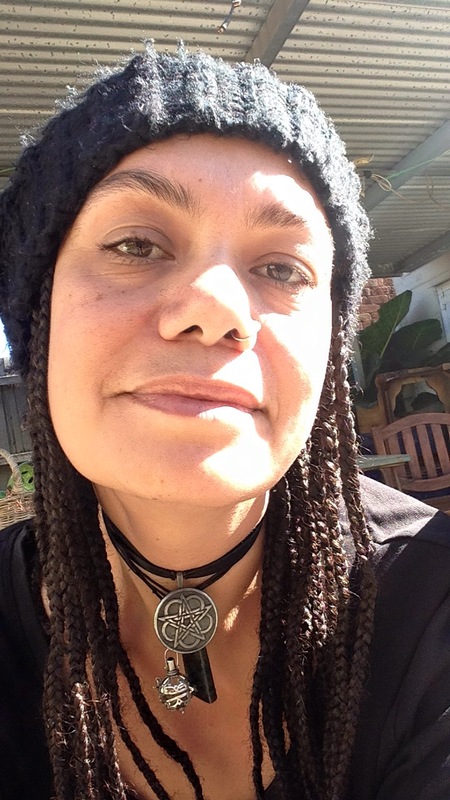 Aside from Jessie’s adventures with healing and magick, she has 15 years experience working for Aboriginal and Torres Strait Islander people, working in a number of diverse roles, although with a focus in family services. Jessie has a Bachelor of Social Science (Psychology) and a Diploma in Performance Studies (Poetry) and is a Community Curator, Arts Manager and Poet. Jessie has a keen interest in herbalism, making skin potions, reading tarot, studying voodoo and hanging out with her ancestors.